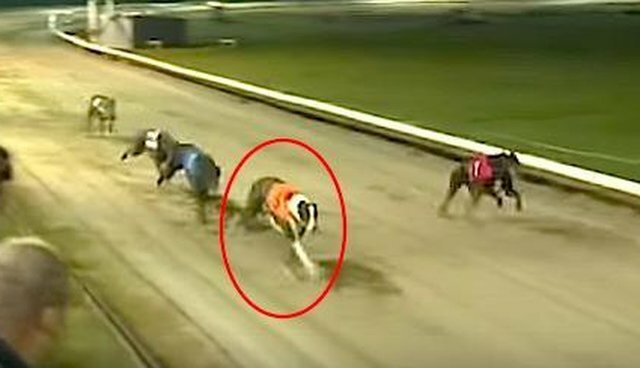 Just a few years ago, Kiddo was a winning racing dog - now he has nothing. 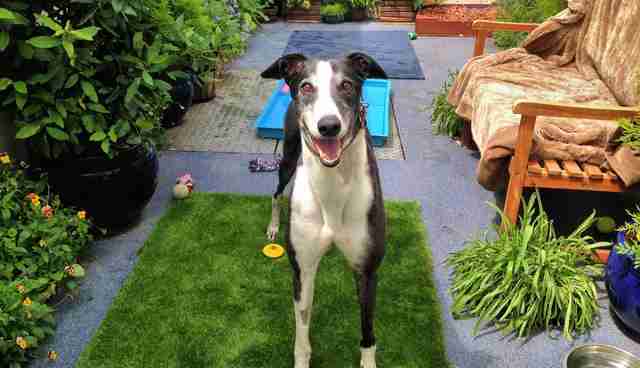 The Mayhew Animal Home, a rescue organization in London, is searching for someone to adopt Kiddo, a greyhound whose owner gave him away when he was no longer of any use. "We're looking for a new home for Kiddo," Raffy Hamid, of The Mayhew Animal Home, told The Dodo, pointing out how Kiddo's plight, from winner to homeless dog, highlights the brutality of the racing industry, which often leaves dogs unwanted after they have served their purpose. Greyhounds can live well into their teens, according to the ASPCA, but are often retired from racing after just a few years old. Afterward, they are euthanized, sent to breeding facilities or surrendered to shelters. 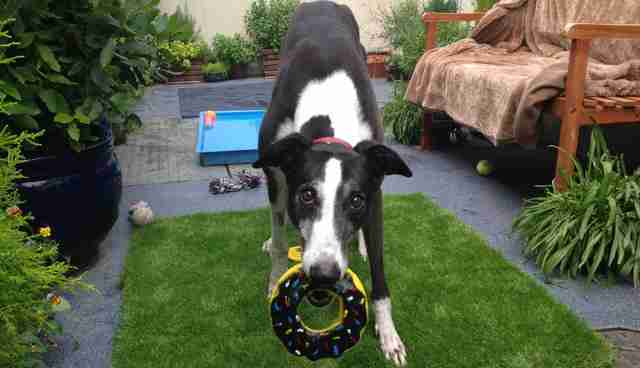 "We very rarely get in ex-racers," Lisa Guiney, a dog adoption officer with Mayhew, told The Dodo. "He's a lovely boy." Kiddo is very well-behaved, calm, gentle, friendly with strangers and knows basic commands, according to Mayhew staff. He can even live in an apartment, if it's on the ground floor with a little outdoor space. "He's now looking for a forever home with someone who is willing to give him at least one hour of exercise a day," Guiney said, adding that he can't live with cats. Kiddo so deserves a second chance at life. If you think this gorgeous greyhound could be part of your family, call The Mayhew Animal Home in the U.K. at 020 8962 8009, or visit www.themayhew.org for more information.